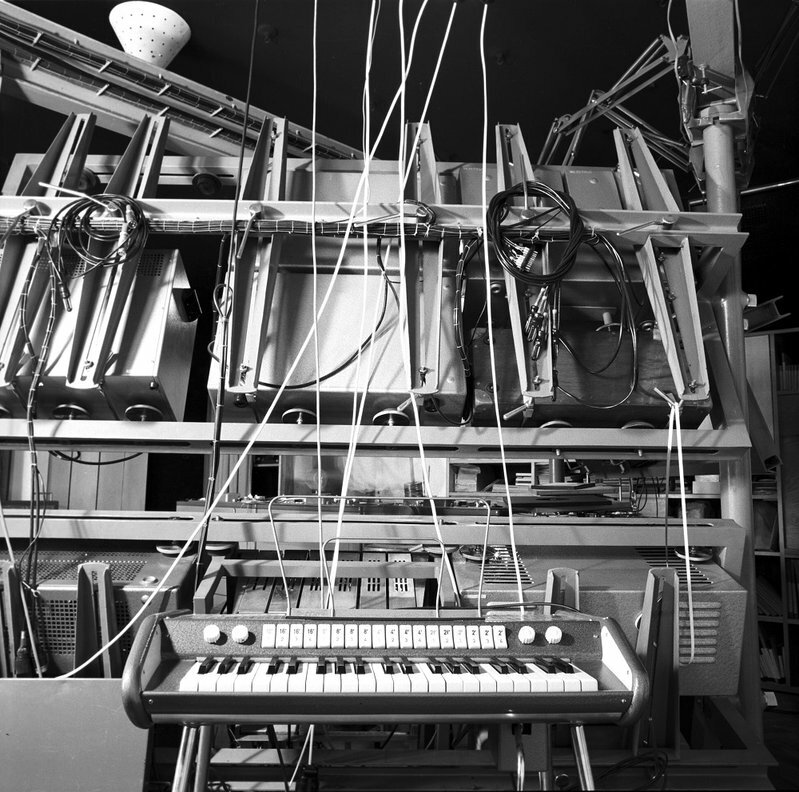 The post Free pack of sounds from the Polish Radio Experimental Studio appeared first on CDM Create Digital Music. 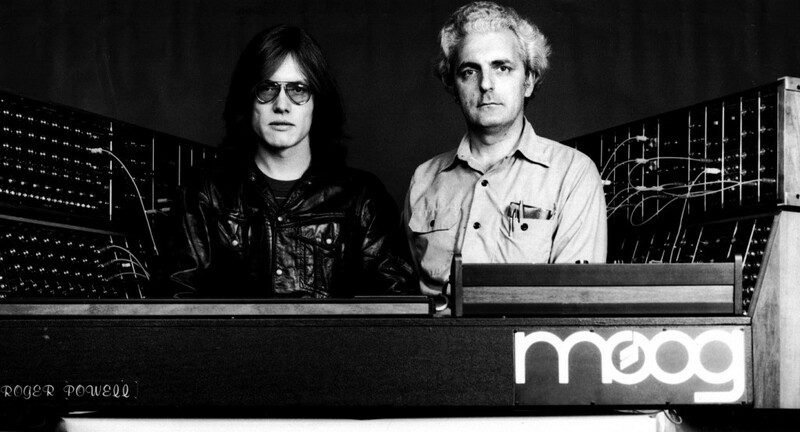 The Bob Moog Foundation is a non-profit American organization dedicated to continue the legacy of its namesake. And now they’re expanding their educational project for kids, the Dr. Bob’s SoundSchool, which uses sound technology to teach engineering and science as well as culture. Plus they’re raising funds to create a physical Moogseum. And to do that, they’ve got some classic instruments to give away as fundraising items in a raffle (details below). 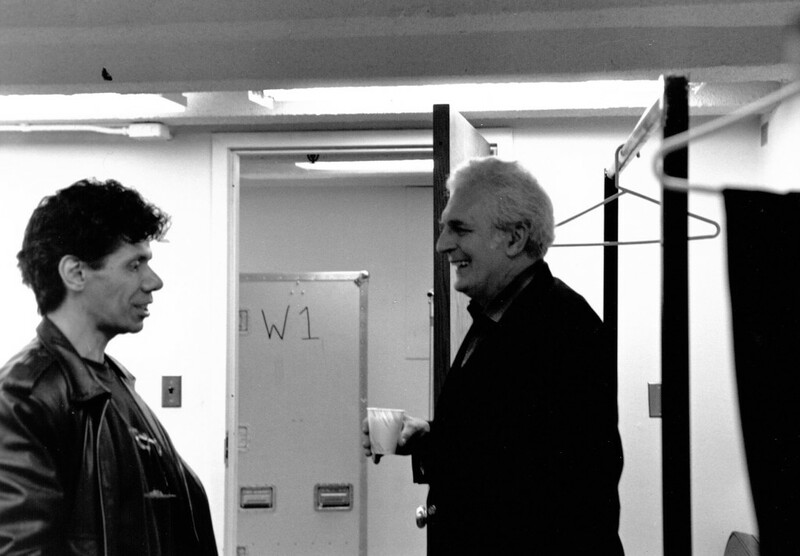 Roger Powell and Bob Moog with custom modular controller designed by Bob for Roger, at Radio City Music Hall. Roger donated this controller to the Bob Moog Foundation, and it is now part of their archives and will be present at the Moogseum. Bob Moog fixing Patrick Moraz’s Polymoog in Switzerland. 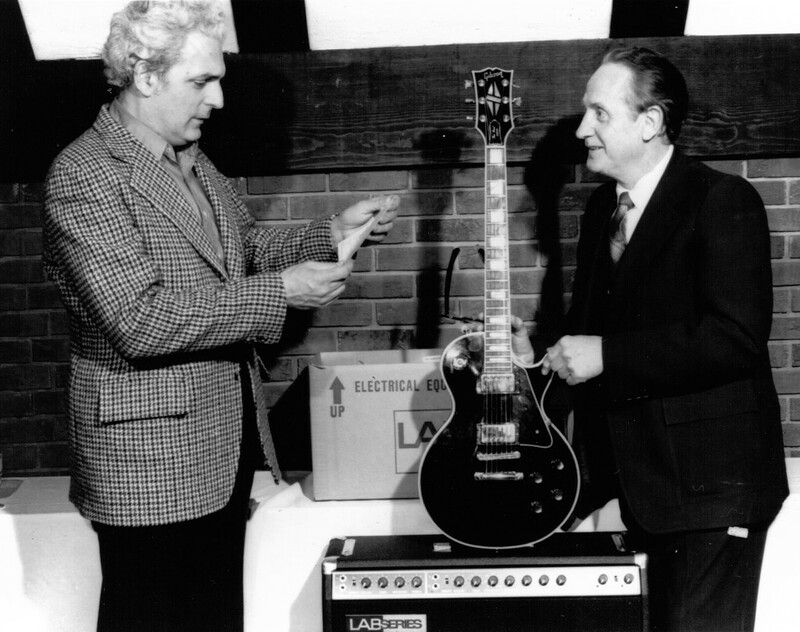 Bob Moog and Less Paul with the LAB Series Amp. 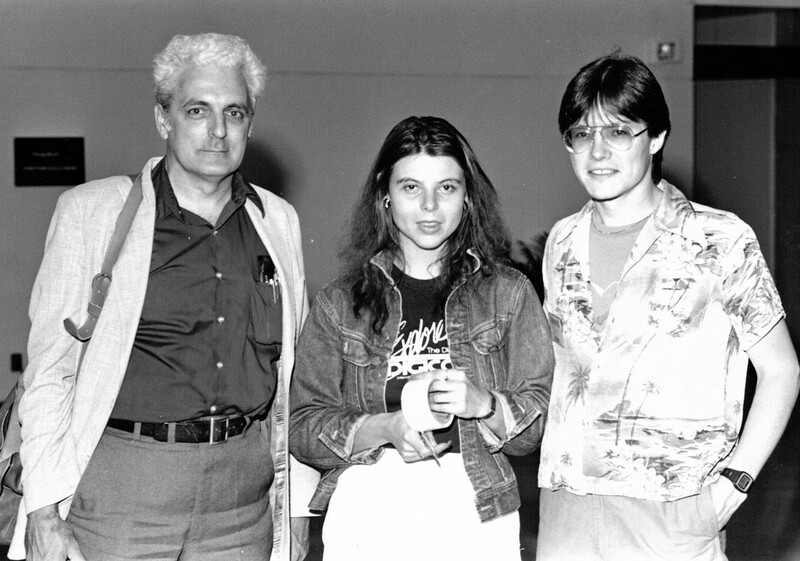 Bob Moog, Suzanne Ciani, Roger Powell, UIW. 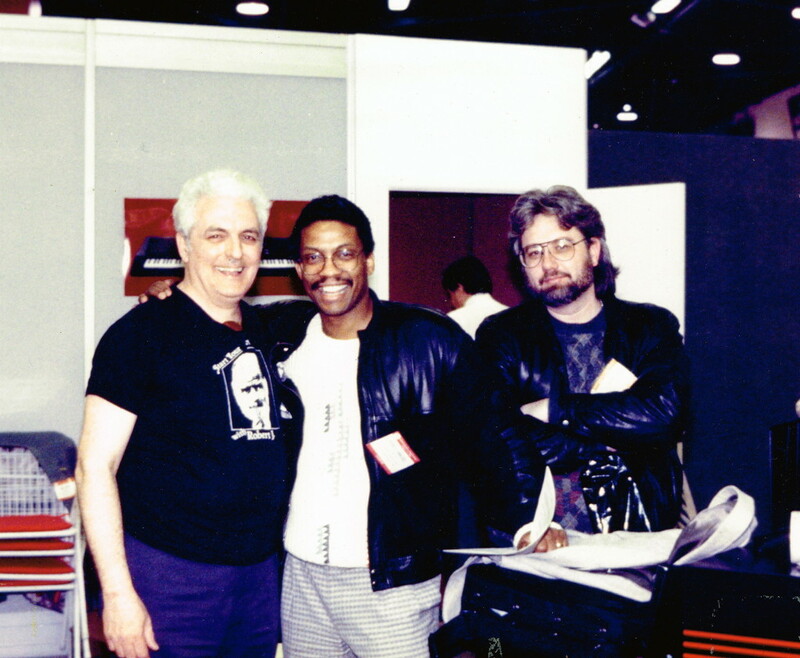 Bob Moog, Herbie Hancock, Will Alexander, NAMM. 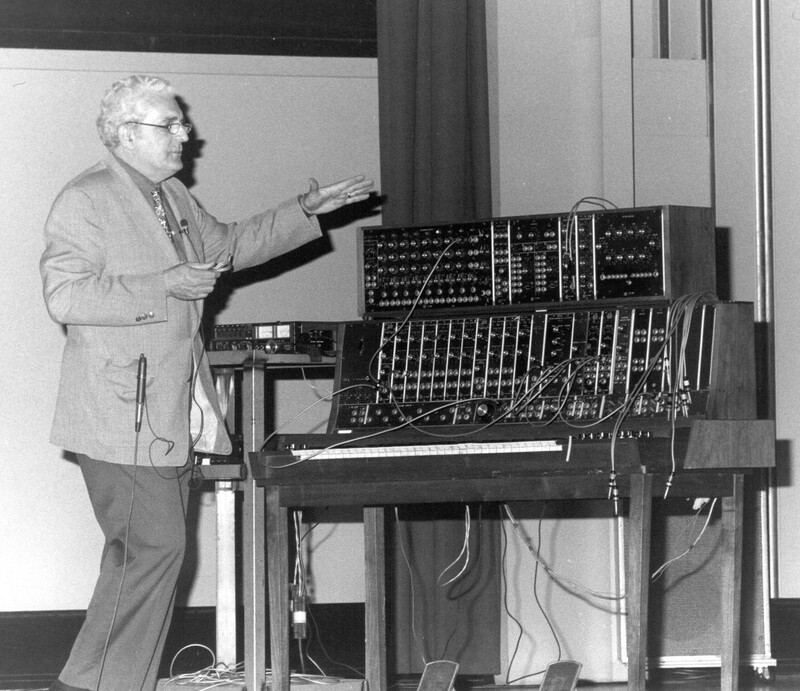 Bob Moog lecturing at University of Michigan about Alwin Nikolias’ first commercially available Moog synthesizer. Chick Corea and Bob Moog, Asheville Civic Center. A Memorymoog, Moog Source, and Moog Rogue will be offered as first, second, and third prizes, respectively. 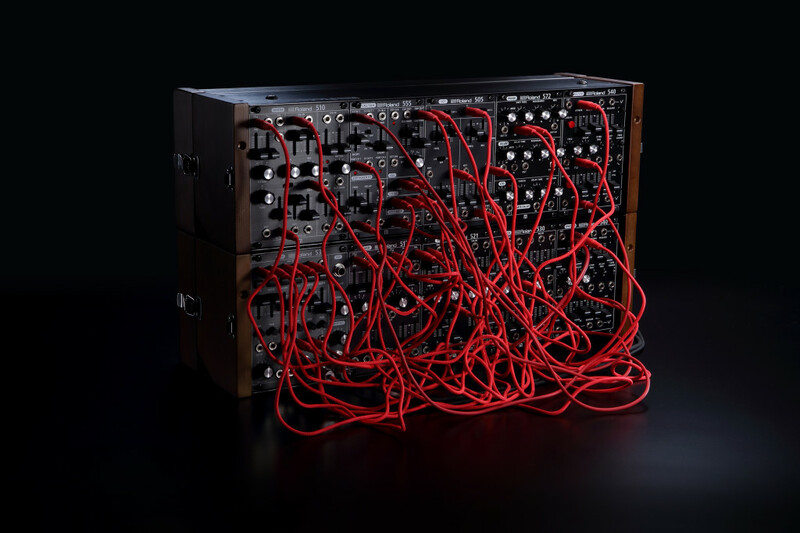 The Moog Trifecta Raffle marks the first time in the Foundation’s history that it is offering more than one raffle prize. Funding raised from the raffle will be used to expand the Foundation’s hallmark educational project, Dr. Bob’s SoundSchool, and to help fund its newest project, the Moogseum, which was announced last week. The Moogseum, a planned interactive, immersive facility that will bring Bob Moog’s legacy and the science of sound and synthesis alive for people of all ages, will be located in downtown Asheville, NC. It is expected to open in April 2019, with an online Moogseum to follow later that year. All three synthesizers were built in Moog Music’s Buffalo, NY factory in the early 1980s, have been fully restored, and are in excellent technical and cosmetic condition with minor flaws typical with vintage instruments. 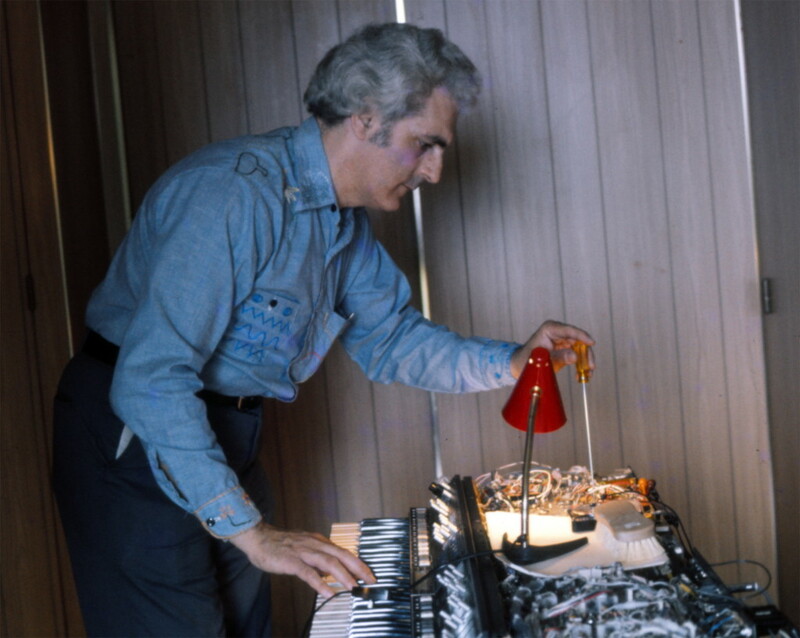 The post 7 Bob Moog images that say a lot about electronic music history appeared first on CDM Create Digital Music. 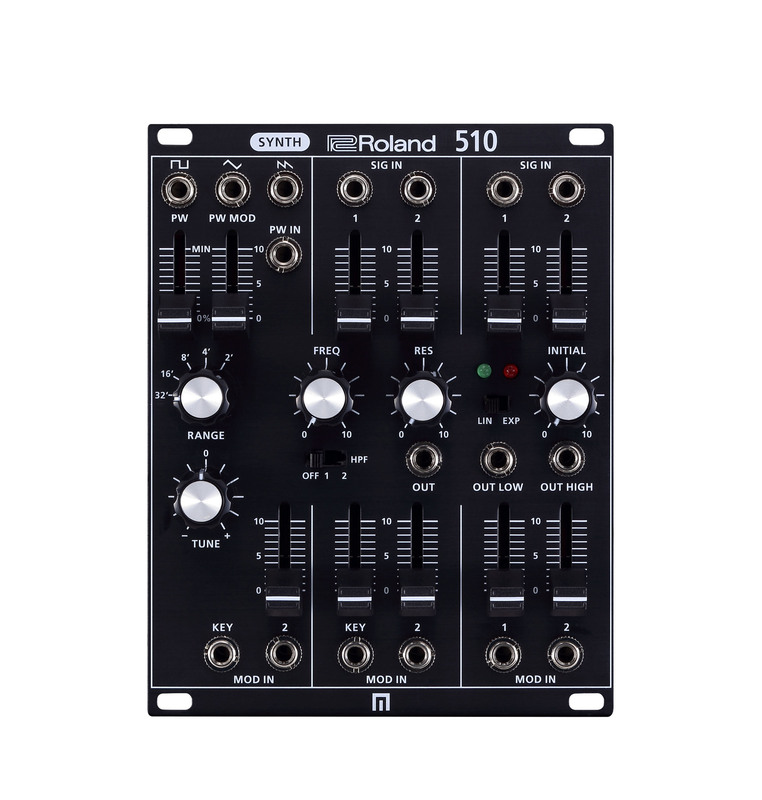 The SYSTEM-500 continues the collaboration between Roland and Portland, Oregon-based boutique maker Malekko Heavy Industry. CDM broke the story (at least in English) when the SYSTEM-500 made a cameo at an event in Berlin. 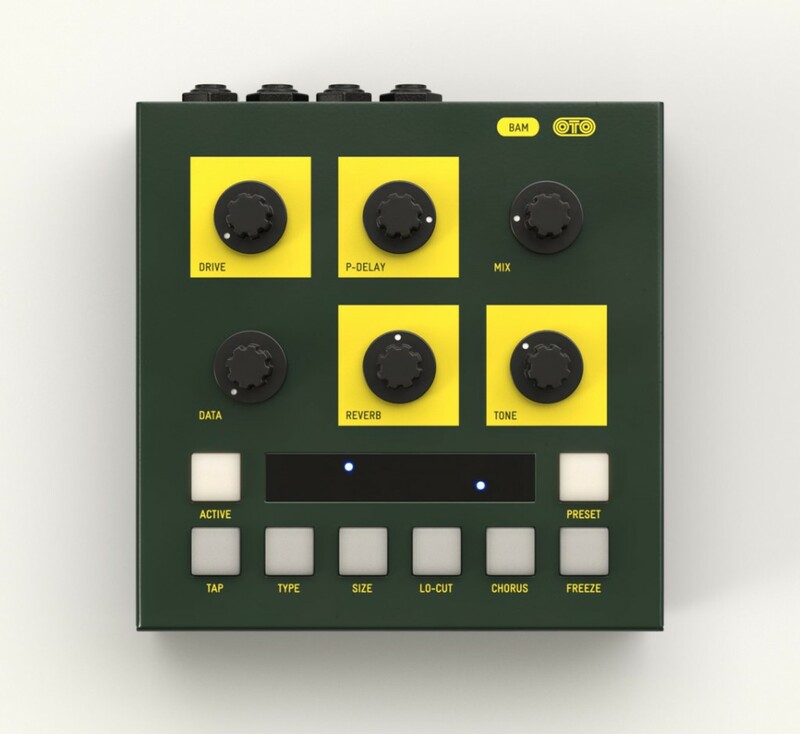 The other important thing to know is that Roland has taken some of the inspiration for the design of these modules from its early 80s SYSTEM-100M (which in turn drew from the 70s SYSTEM-100). They’re not reissues and they’re not copies – but they do take some sonic features and the interface approach from those modules. With much of the boutique community drawing from Buchla and Moog, this means Roland is a little different. At the same time, since they aren’t slavish recreations (except giving you the SH-5 filter, for instance), you get a slightly more up-to-date take on what these things are about and who they’re for. Hey, Roland, you could also do a MIDI interface and call it the MPU. 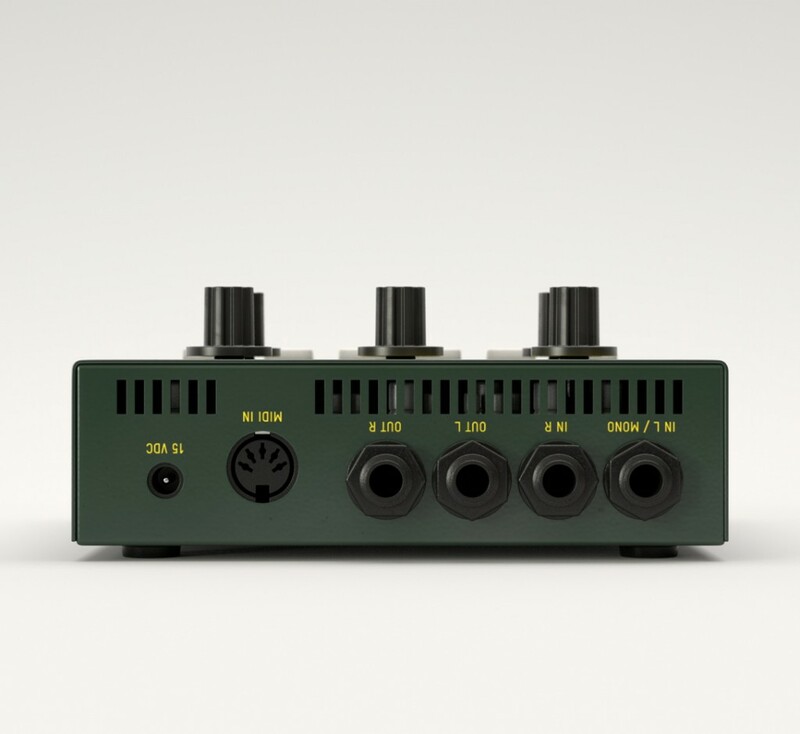 What it is: It’s an all-in-one synth module – basically three modules in one to get you started with a single voice. 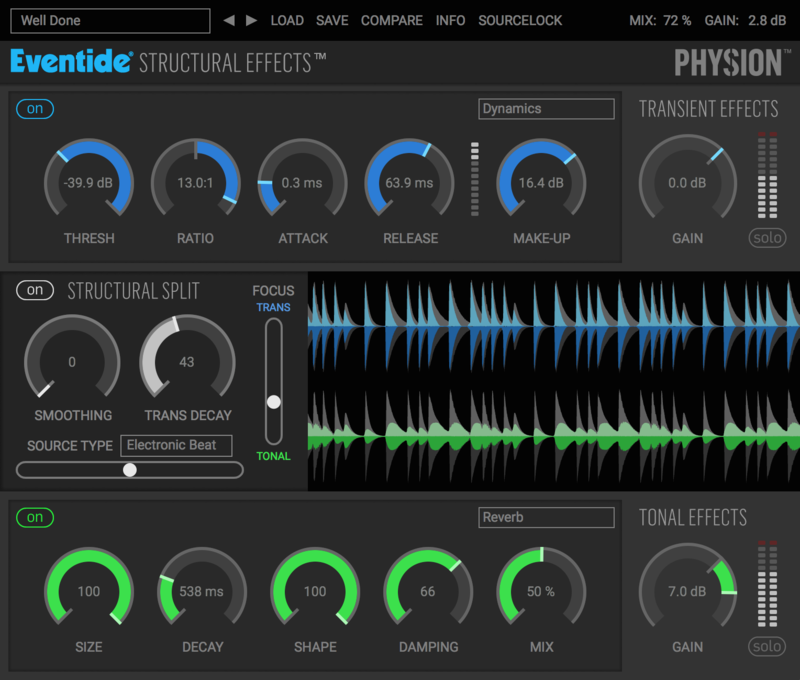 You get an oscillator, a filter, and an amplitude envelope. The idea is to give you a single module that gets your modular started. You could actually bolt this into a rack and get started – it takes inputs and outputs line output so you could hear what you’re doing. 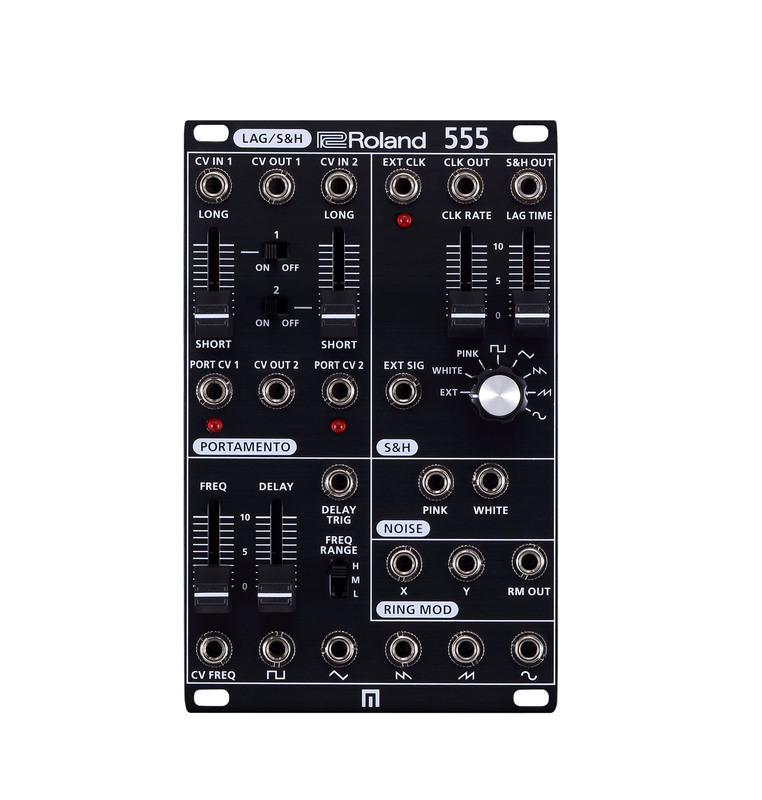 And while there are competing modules that do the same, this one is pretty economical, and it comes from Roland’s own heritage – it’s modeled on the early 1980s 100m Roland synth, which also had the goal of being a starter synth. What it is: It’s modulation in a box. Think ring modulation, waveforms, an LFO, noise, and portamento you can route into your other modules. This one is also 100m-based. 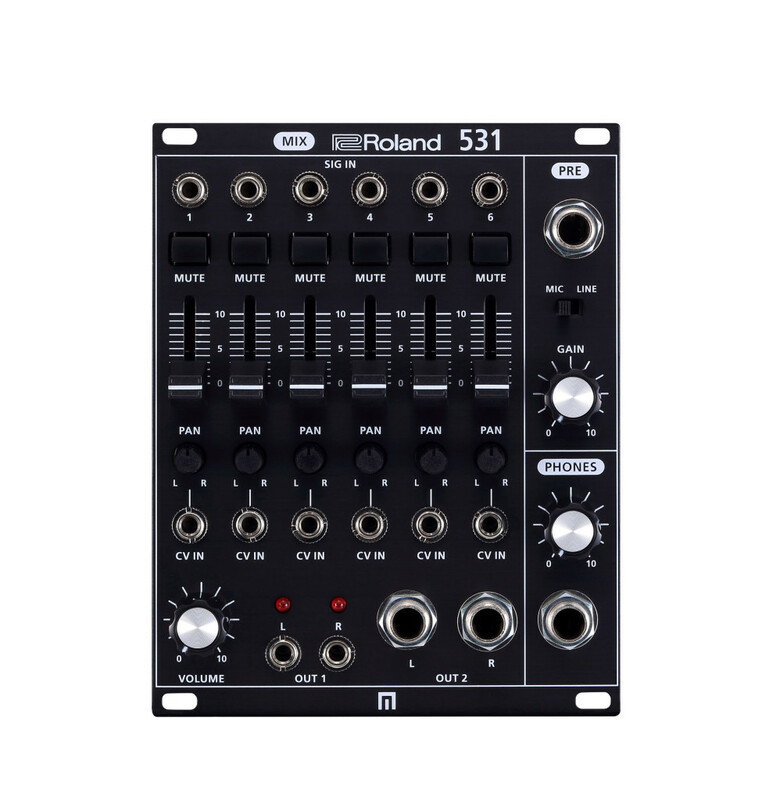 What it is: The 531 also draws from the 100m history, but the important thing is really that it’s more of a conventional mixer in modular form. Now, part of the appeal of Eurorack is frankly that it is esoteric – but musicians at some point may expect mixers to behave more like mixers. So while you do get some voltage control (for panning), the appeal to me of the 531 is that it has, like, mixer faders and pan pots you can easily reach out and grab. There are even LED meters so you can see what you’re doing. The SH-5 is a Chinese maritime patrol amphibious aircraft — wait. Sorry, wrong link. 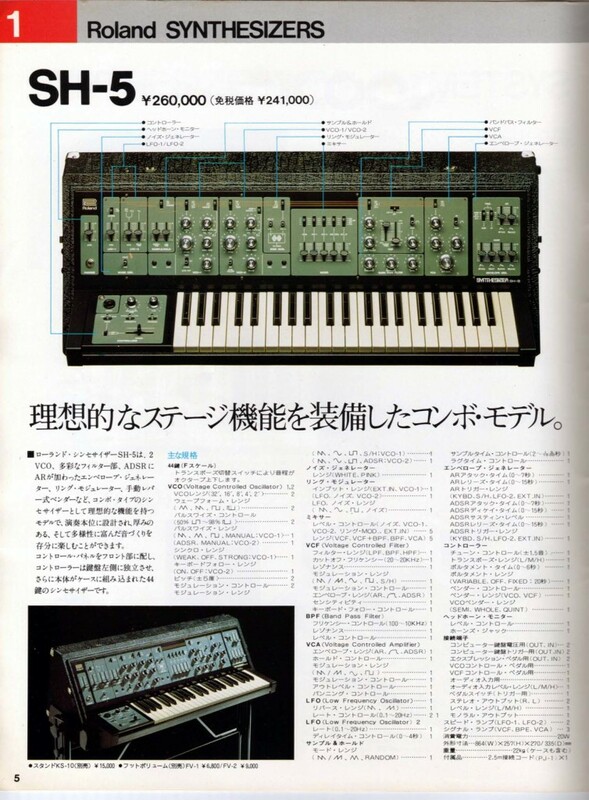 The Roland SH-5 was the 1976 classic of roughly the same generation as the SYSTEM-100 modules. Just as Moog made the Minimoog as an all-in-one keyboard monosynth with features of its modular system, so Roland made the SH-5 as its ready-to-play keyboard. And the SH-5 might be a household name with casual synth enthusiasts today, had Roland not eclipsed their own legacy with better-known 80s offerings like the SH-101 and TB-303. But here’s the important bit: while a lot of modules have filter circuitry modeled on a Moog ladder filter or other well-known filter designs, the SH-5 has its own sound. 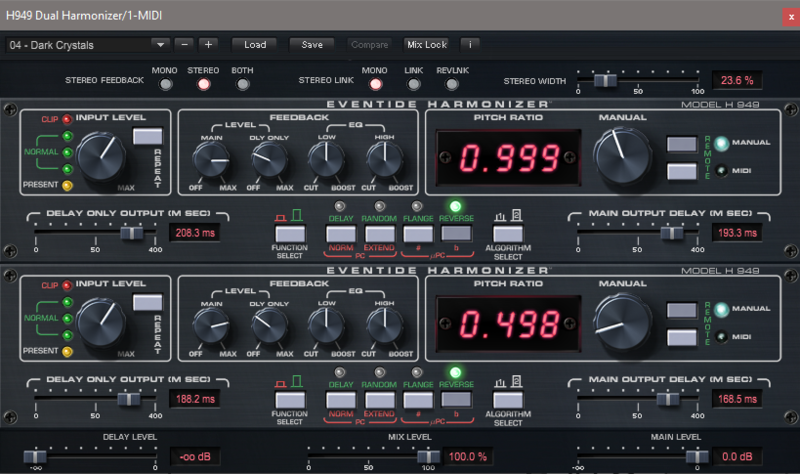 It’s part multi-mode filter, part bandpass filter … which is to say, it really growls. The 505 has no particularly fancy features. It’s just a straightforward, great-sounding filter. But it could be either the complement to the offerings above, or – for people who already have invested heavily in modular – it might be the one module you grab out of this lineup, just to add a bit of Roland sound to your rack. Just get ready to shove a fader up and down instead of twist a knob, because Roland likes vertical faders. 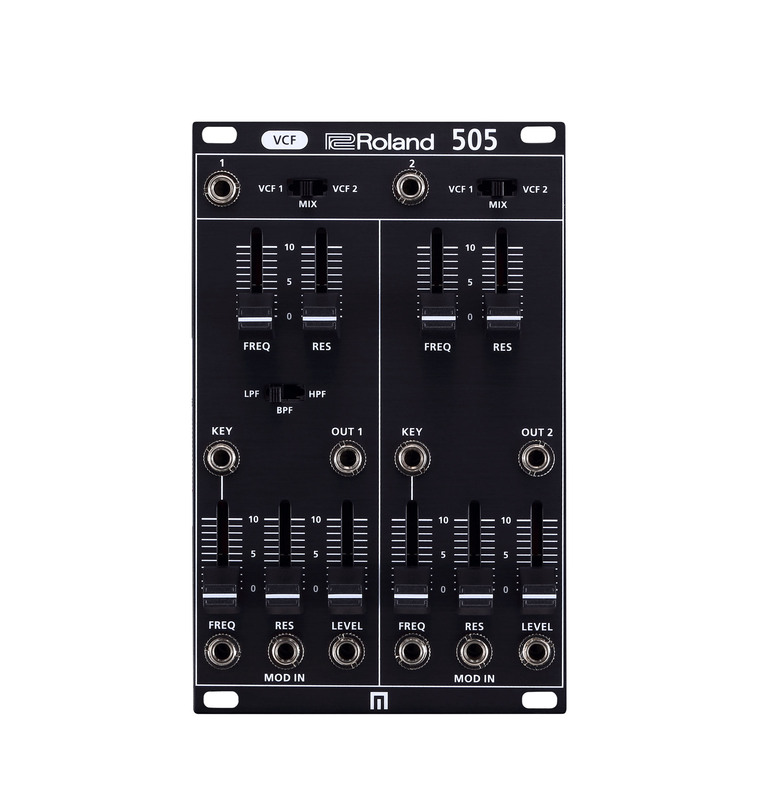 The post Roland’s new SYSTEM-500 modules, and why you might want them appeared first on CDM Create Digital Music. The post Arturia’s Fairlight, Clavinet, DX-7, and Buchla Easel are each a steal appeared first on CDM Create Digital Music. 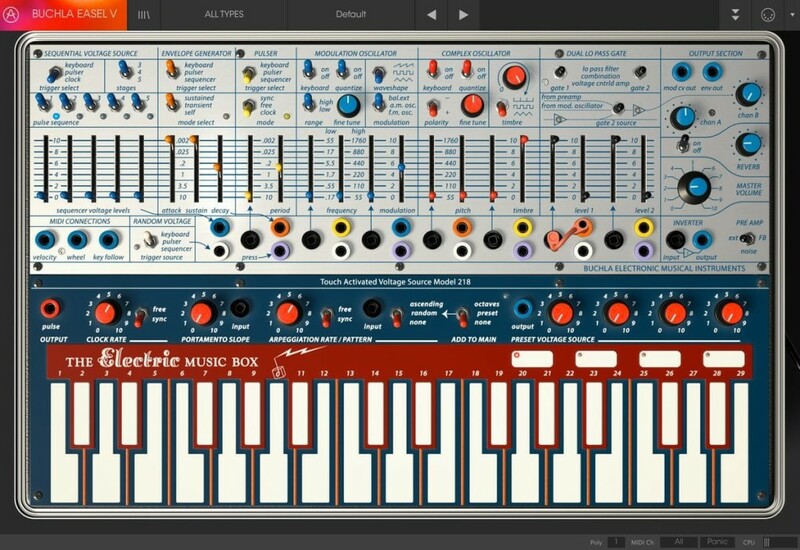 Arturia refreshed their mega-collection of synths and keyboard instruments, with new sought-after additions – including a recreation of the Buchla Easel. Synths: models of the Synclavier, Oberheim Matrix 12 and SEM, Roland Jupiter-8, ARP 2600, Dave Smith’s Sequential Prophet V and vector Prophet VS, Yamaha CS-80, a Minimoog, and a Moog modular. To that roster, you can now add a Yamaha DX7, Fairlight CMI, and a Buchla Music Easel. Keys: Fender Rhodes Stage 73 (suitcase and stage alike), ARP Solina String Ensemble, Wurlitzer. And now there’s a Clavinet, too. Organs: Hammond B-3, Farfisa, VOX Continental. And some pianos. Various pianos – uprights and grands – plus other parameters via physical modeling are bundled into Piano V.
The bundle also includes Analog Lab, which pulls together presets and performance parameters for all the rest into a unified interface. 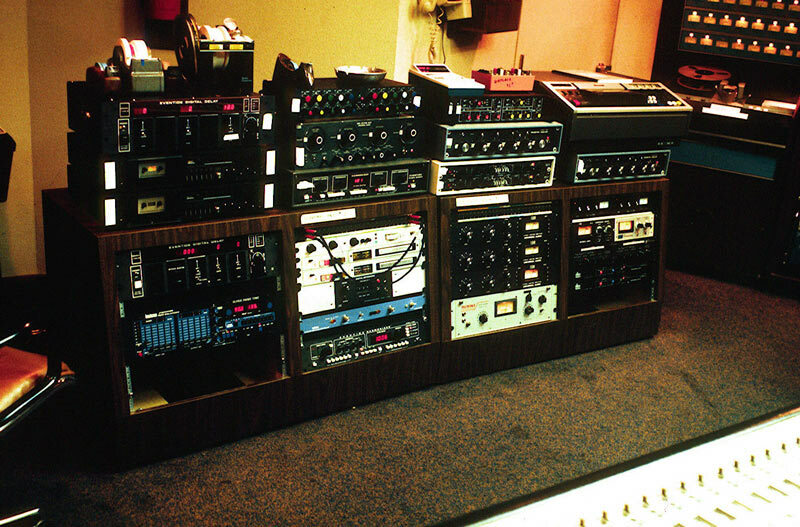 This isn’t all sampled soundware, either – well, if it were, it’d be impossibly huge. 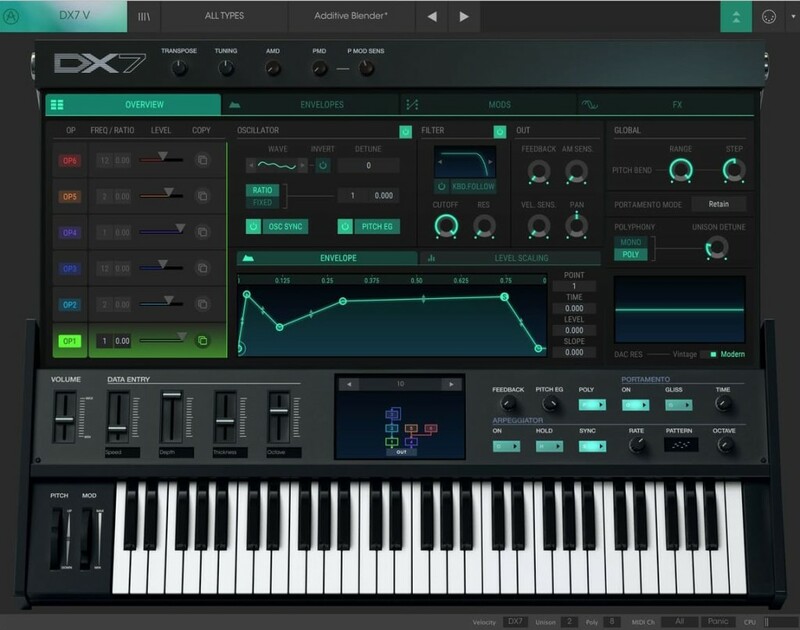 Instead, Arturia use physical modeling and electronics modeling techniques to produce emulations of the inner workings of all these instruments. There’s no question the Clavinet and DX7 round out the offerings, making this a fairly complete selection of just about everything you can play with keys. (Okay, no harpsicords or pipe organs, so every relatively modern instrument.) 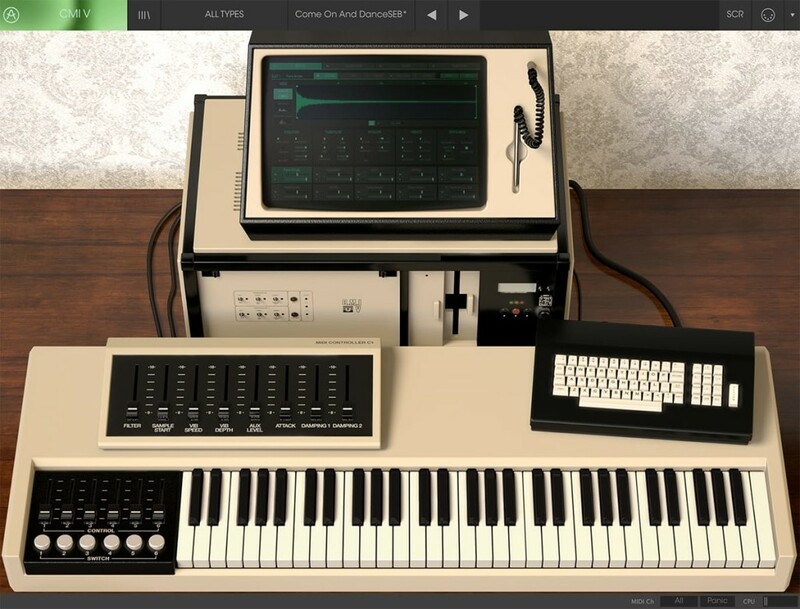 And the Fairlight CMI, while resurrected as a nifty mobile app on iOS, is welcome, too. But because it’s been so rare, and because of the renaissance of interest in Don Buchla and so-called “West Coast” synthesis for sound design, the Buchla addition is obviously stealing the show. The DX7 V promises to build on the great sound of the Yamaha original while addressing the thing that wasn’t so great about the DX7 – interface and performance functionality. So you get an improved interface, plus a new mod matrix, customizable envelopes, extra waveforms, a 2nd LFO, effects, sequencer, and arpeggiator, among other additions. 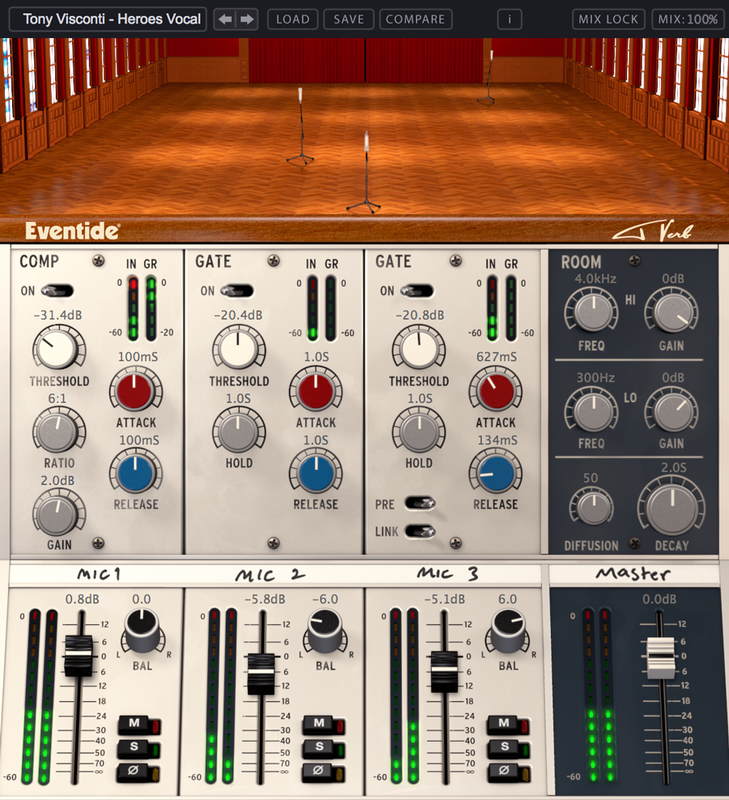 Funk fans get the Clavinet V, with control over new parameters via physical modeling (in parallel with the Arturia piano offering), and the addition of amp and effect combos. 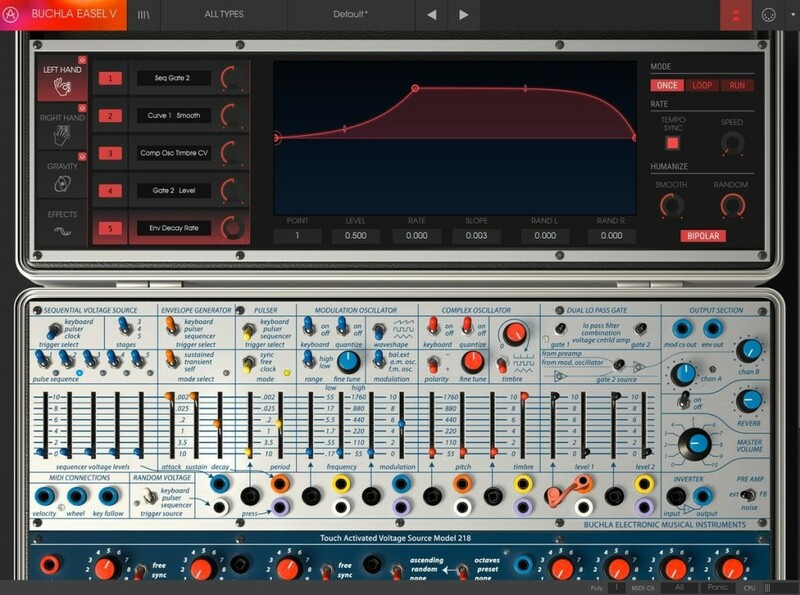 The CMI V recreates the 1979 instrument that led the move to digital sampling and additive synthesis. And this might be the first Fairlight recreation that you’d want in a modern setup: you get 10 multitmbral, polyphonic slots, plus real-time waveform shaping, effects, and a sequencer. And Arturia have thrown us a curveball, too: to create your own wavetables, there’s a “Spectral” synth that scans and mixes bits of audio. I’m really keen to play with this one – it sounds like what you’ll want to do is to go Back to the Future and limit yourself to making some entire tracks using just the Fairlight emulation. If you read my children’s TV round-up, maybe Steve Horelick and Reading Rainbow had you thinking of this already. Now you just need a PC with a stylus so you can imagine you’ve got a light pen. The Buchla Easel goes further back to 1973. It’s arguably the most musical of Don Buchla’s wild instruments, bringing the best ideas from the modular into a single performance-oriented design. And here, it looks like we get a complete, authentic reproduction. Everything that makes the Buchla approach unique is there. Think amplitude modulation and frequency modulation and the “complex” oscillator’s wave folding, gating that allows for unique tuned sounds, and sophisticated routing of modulation. 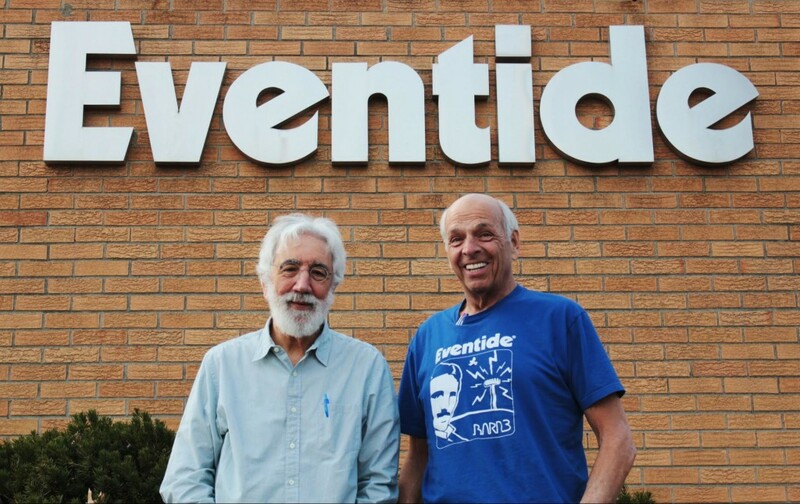 It all adds up to granting the ability to make strange, new timbres, to seek out new performance life and new sound designs – to boldly go where only privileged experimentalists have gone before. Arturia makes up for the fact that this is now an in-the-box software synth by opening up the worlds of modulation. So you get something called “gravity” which applies game physics to modulation, and other modulation sources (the curves of the “left hand,” for instance) to make all the organic changes happen inside software. It’s a new take on the Buchla, and not really like anything we’ve seen before. And it suggests this software may elevate beyond just faux replication onscreen, with a genuinely new hybrid. My only regret: I would love to have this with touch controls, on iOS or Windows, to really complete the feeling. It’s odd seeing the images from Arturia with that interface locked on a PC screen. But I think of all the software instruments in 2017, this late addition could be near the top (alongside VCV Rack’s modular world, though more on that later). But it’s big news – a last-minute change to upset the world of sound making in 2017. Watch for our hands-on soon. Also new in this version: the Analog Lab software, which acts as a hub for all those instruments, parameters, and presets, now has been updated, as well. There’s a new browser, more controller keyboard integration, and other improvements. Piano V has three new piano models (Japanese Grand, a Plucked Grand, and a Tack Upright), enhanced mic positioning, an improved EQ, a new stereo delay, and it’s own built-in compressor. There are improvements throughout, Arturia say. There’s also a lower intro price: new users get US$/€ 249 instead of 499, through January 10. And that Buchla is 99 bucks if that’s really what you want out of this set. The post Arturia add CMI, DX7, Clavinet – and Buchla Easel – in software appeared first on CDM Create Digital Music. The post Meet the guy you can blame for all those air horn sounds everywhere appeared first on CDM Create Digital Music. At the moment when synthesizers are getting more economical, Moog are firmly establishing what the synth as luxury item looks like – and it’s this. 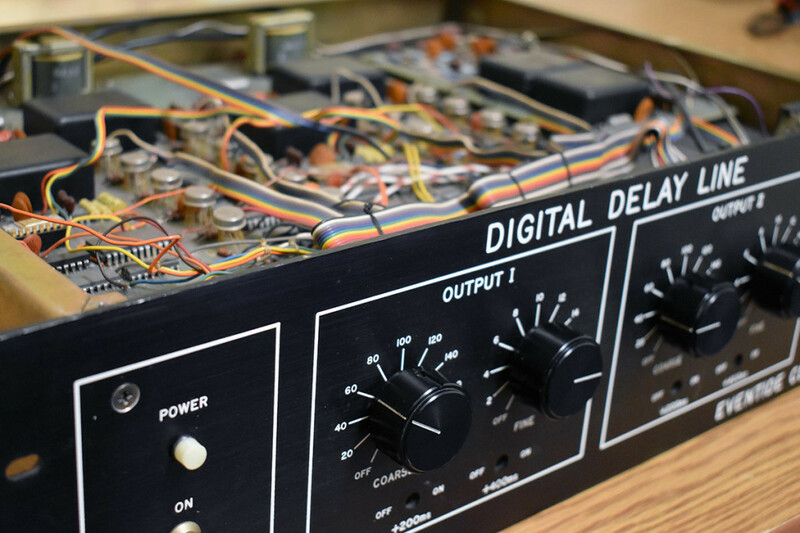 The Minimoog model D is an exact recreation of the iconic original monosynth, starting production of that machine for the first time in three decades, down to even tiny details of circuits. And it’ll cost you – US$3499, limited run in America only. That means we now have essentially two iterations of Moog Music. One is making luxury recreations of its original history, in their original form. The other is making new products and new designs – and for a larger audience (especially because of price). Price alone isn’t really the issue. In fact, it’s easy to get hung up on the price and forget just how much more efficient production is now. 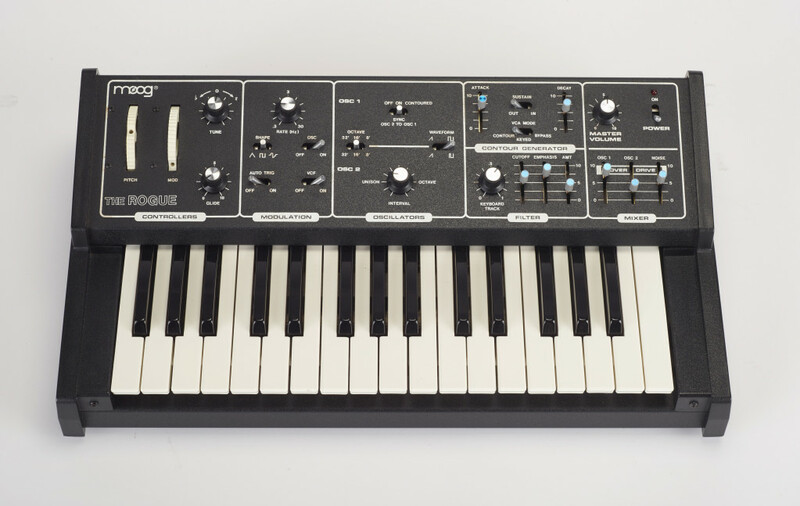 The Minimoog model D Moog Music have just introduced is nearly a part-by-part recreation of the original. It even uses accurate through-hole rather than surface-mount production (which allows it to be more true to which parts are used). Yet it’s a hell of a lot cheaper than the original. Even deadmau5 would have trouble spending that much money. But forget about the price for a second. What’s remarkable about the model D, like Moog’s Keith Emerson modular that came before it (at the last Moogfest, no less), is that it is an exact recreation. Think about that for a second. No other major brand is doing this. The closest is KORG, but their recreations are more modernized approximations – not unlike classic car reissues. 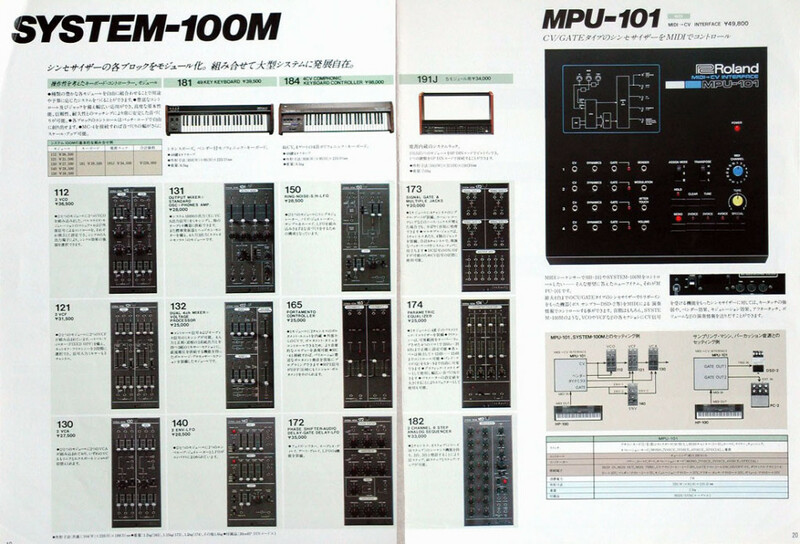 And as such, their ARP and MS-20 were downsized and added features like MIDI; even the limited run full-sized MS-20 was modernized from the original and still kept a fairly low price tag. The model D and Emerson modular are recreations, not approximations. They’re effectively starting up the old production line as if nothing happened. It’s Moog Music as museum. And I think as a result not only the price but the peculiarity of what you get is likely to keep the model D’s appeal to a specific breed of musicians. As historical curiosity, it’s fascinating. But it does, to me, represent something of a step backward – if an intentional one. Bob Moog himself didn’t repeat the Minimoog; he re-conceived it with the Minimoog Voyager, the very synth that launched today’s Moog Music. Of course, that’s why I say there are two Moogs. 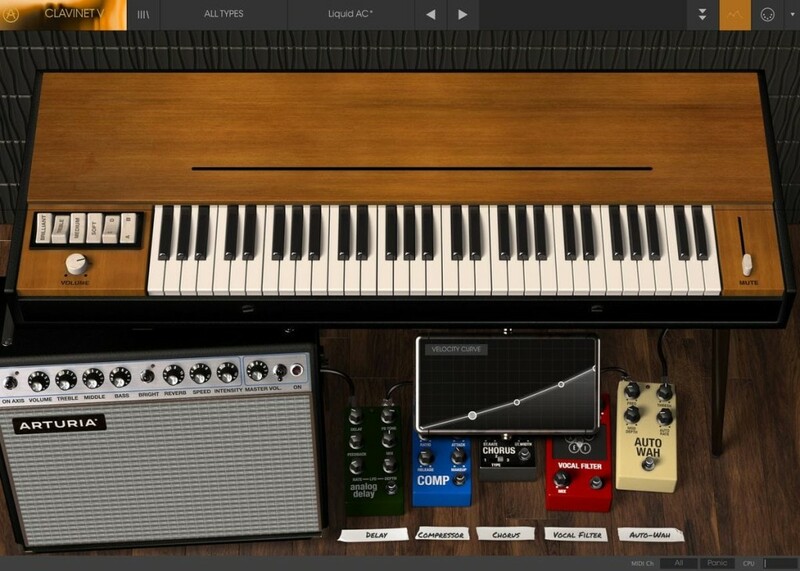 The other Moog continues to imagine new instruments, like the Mother-32 and even new iOS apps. And these matter not just because they’re more practical or cheaper – they matter because they’re genuinely new. If you know the sound of the Minimoog already, you can find new sounds in their latest creations. But I sure I’m not alone in saying this: the model D, while fascinating, still makes me long for a new Voyager — or Moog Music’s take on a polysynth. Maybe what’s compelling about the synthesizer is that it does constantly transform. The history of the violin and the piano were eventually stunted (something even some acoustic builders what to change). 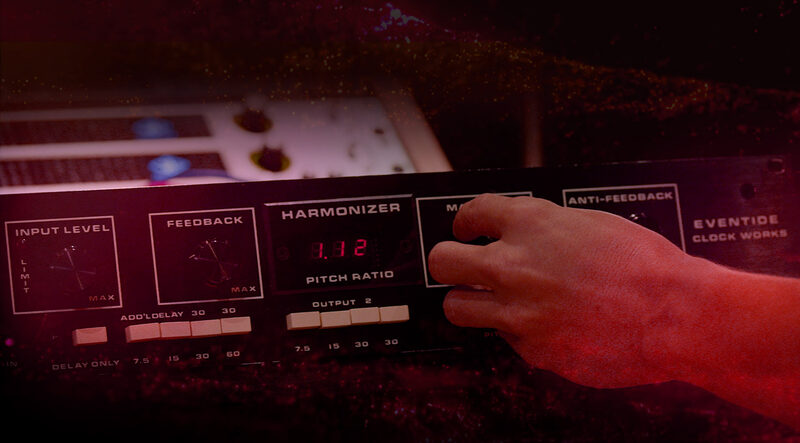 The synthesizer can be an instrument that’s perpetually reinvented. And so that means I’ll keep looking forward to the new creations from Asheville, North Carolina – even as I marvel at the achievement of historical recreation. The post With the Minimoog reissue, there are now two Moogs appeared first on cdm createdigitalmusic. The post BAM is OTO Machines’ musical, retro reverb box appeared first on cdm createdigitalmusic.